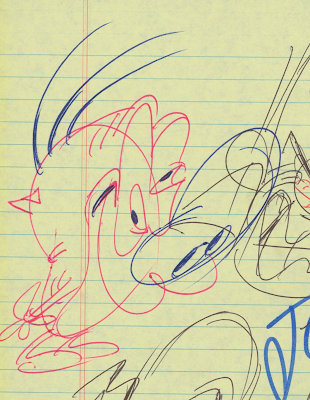 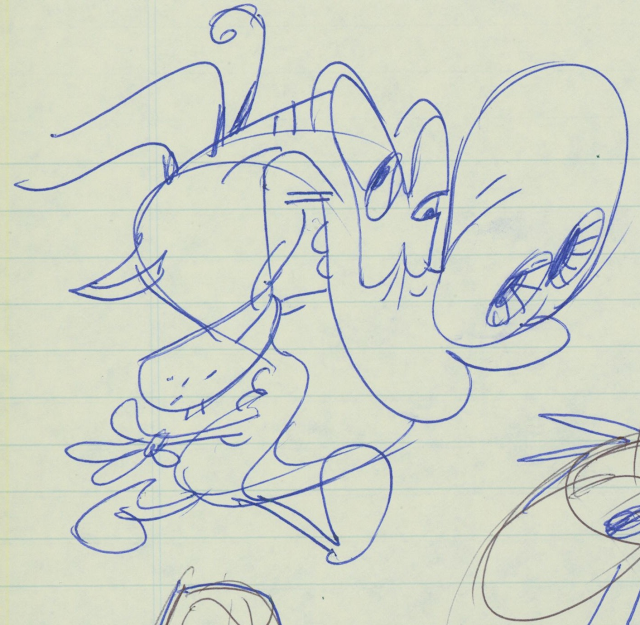 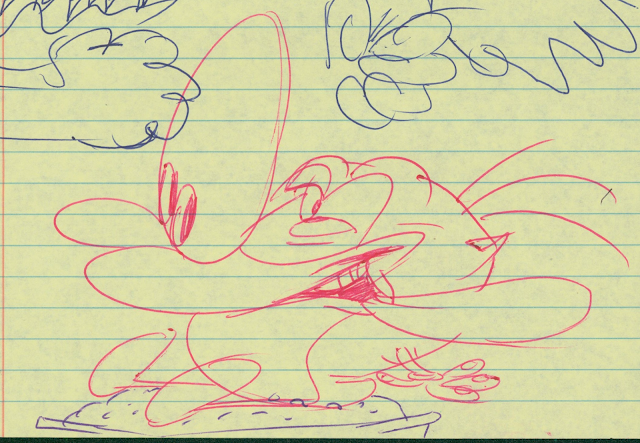 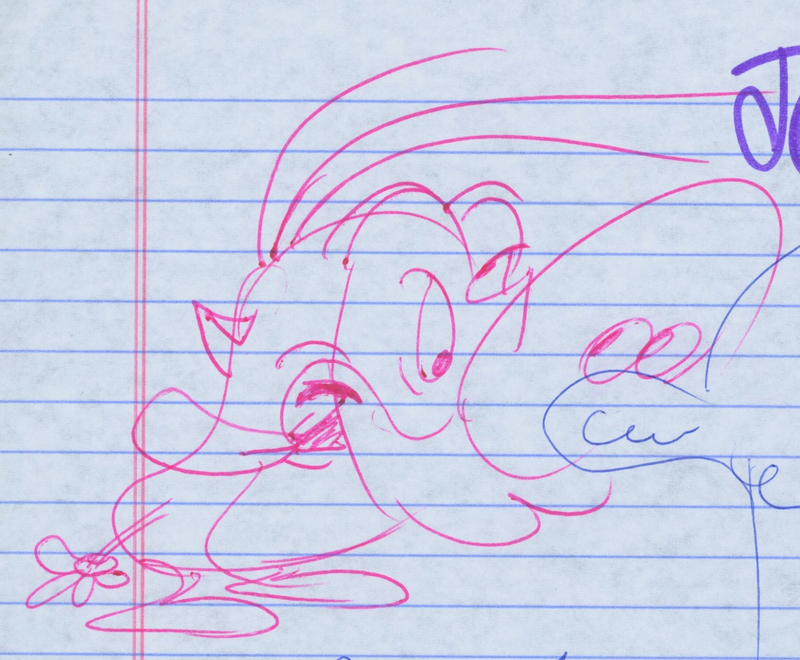 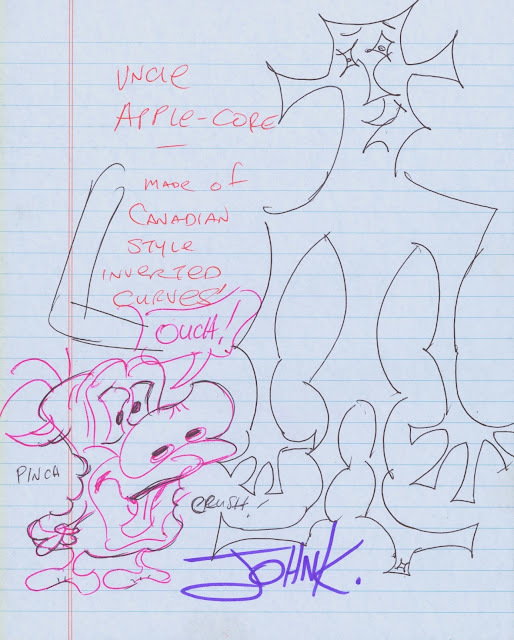 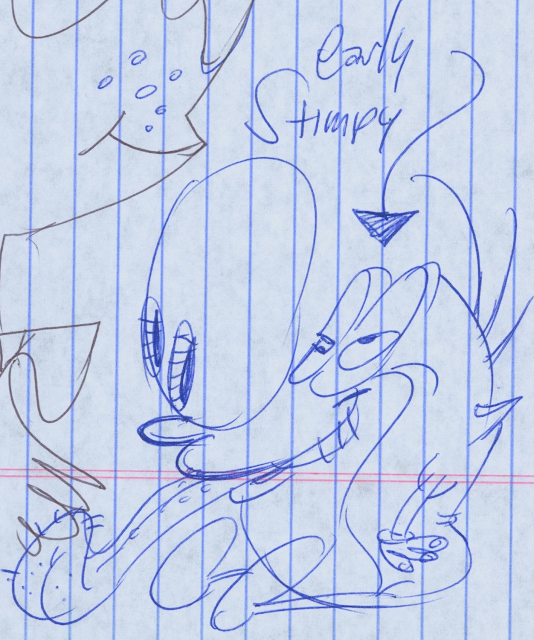 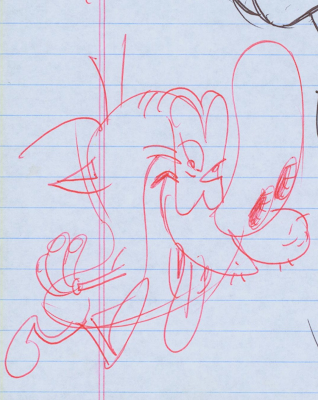 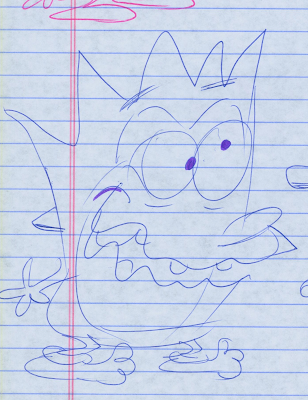 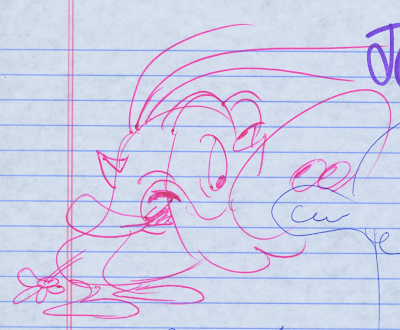 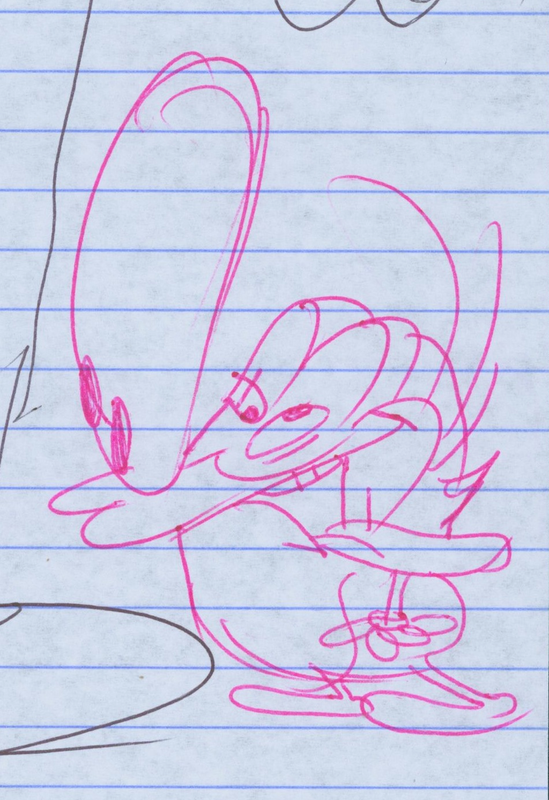 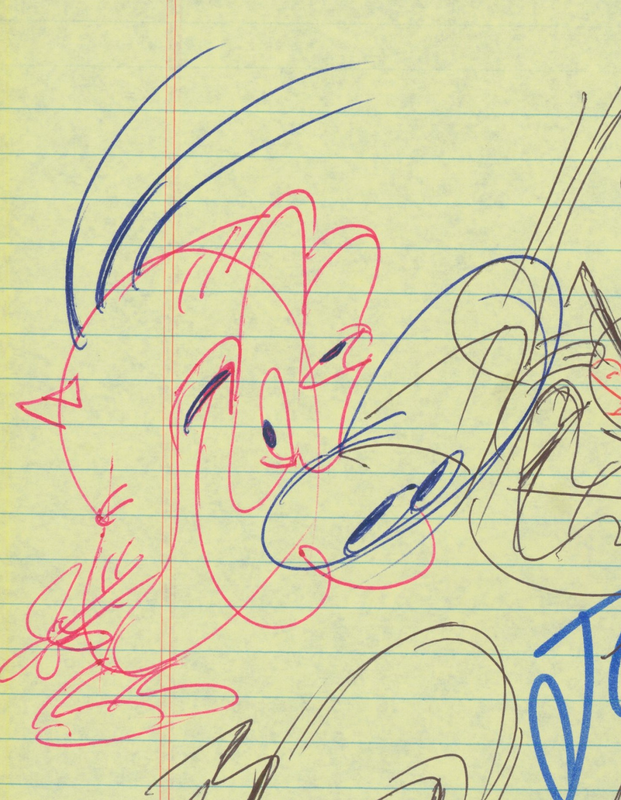 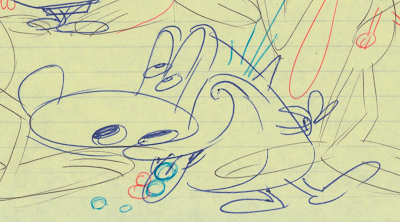 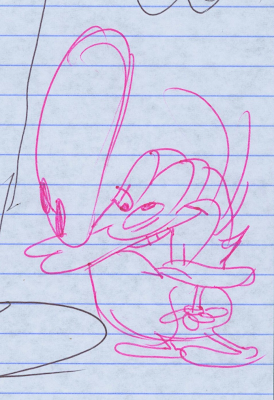 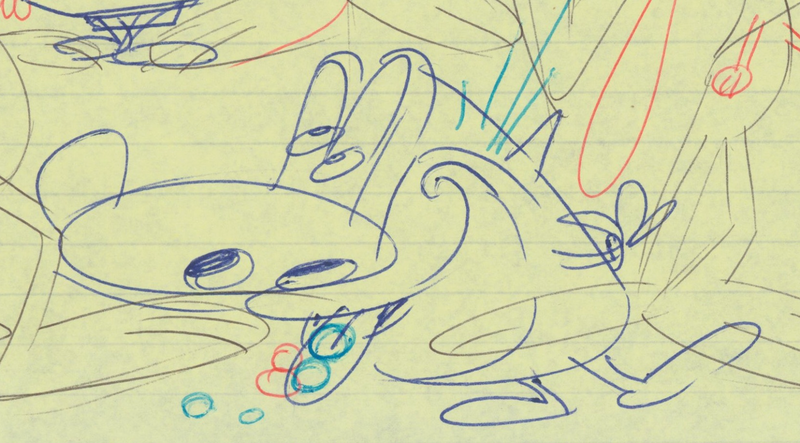 When I first used to draw Stimpy, he had an odder design. 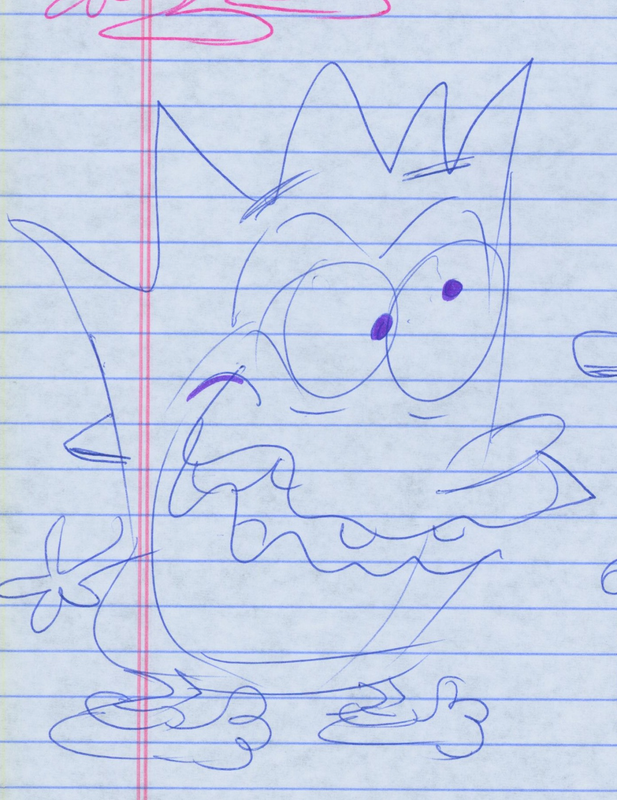 He was more retarded and he had more specific eyes. He had a rubbery layer of eyelid skin with holes cut out for his peepers to peer through. 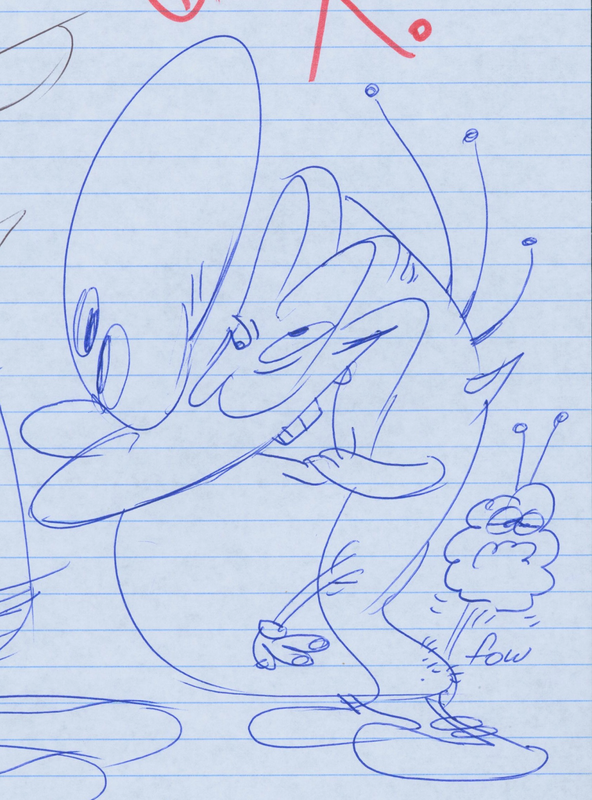 This is how I sort of remember him, but I think he might have been weirder. Here's how he would look if drawn in a modern hipster style.